ONLY the approved Sherwin-Williams Paints listed below will be allowed. The ARC Form must be submitted and approved prior to painting including the scheme number and color choices of the scheme. When applying for approval, the neighbor houses on both sides, as well as the 3 across the street, must not already be the requested color. ARC approvals for paint are good for 3 months. If you have not yet painted by then, the color may be released to a neighbor and you will have to request a new color. Sherwin Williams colors will be used – paint bought elsewhere is subject to inspection – and if the color is found to not to match- repainting will be required as a remedy. Book for viewing colors are located at the Coconut Creek Location:4171 W Hillsboro Blvd, Ste 1. 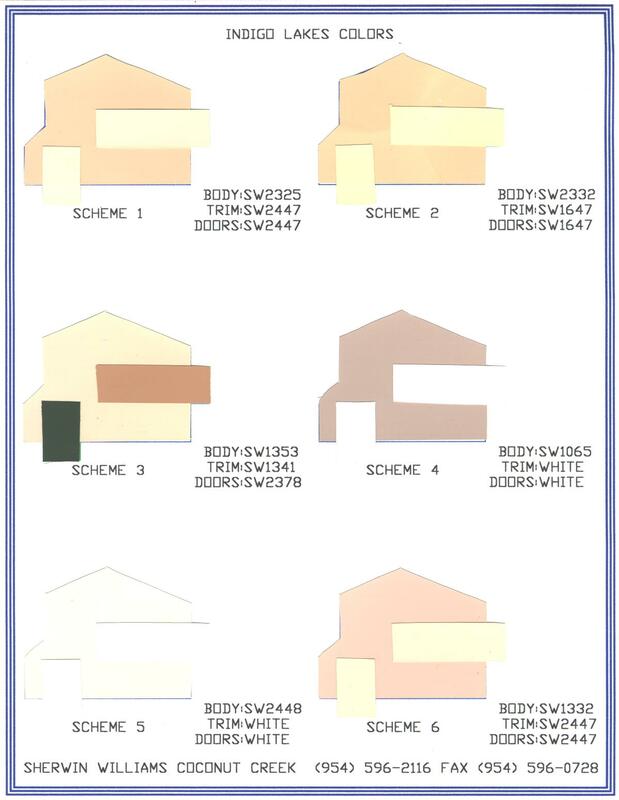 ALL INDIGO LAKES RESIDENT’s WILL RECEIVE A 30% DISCOUNT FOR EXTERIOR PAINT CHOICES BELOW- WITH PROOF OF APPROVED ARC FORM. Discount is excluded if the paint is being bought through a Sherwin Williams contracted painter (they already receive a discount). Roof and driveway colors added at the bottom of this page. IMPORTANT NOTES: All accent pieces on the house including decorative shutters are to be painted the trim color or white. Specified door color is only for the front entrance and rear entrance doors, not the garage door. The garage door may be painted Chateau Brown SW7510 as an option with any approved color scheme. The following are the original paint schemes and are no longer being approved by the ARC as a new paint color. These are to be used for homeowners as a reference should you choose to repaint the same original color as first painted when constructed. Repainting the same color as current is not required to be approved by the ARC. Sherwin-Williams can provide the current paint code in their cross-reference. 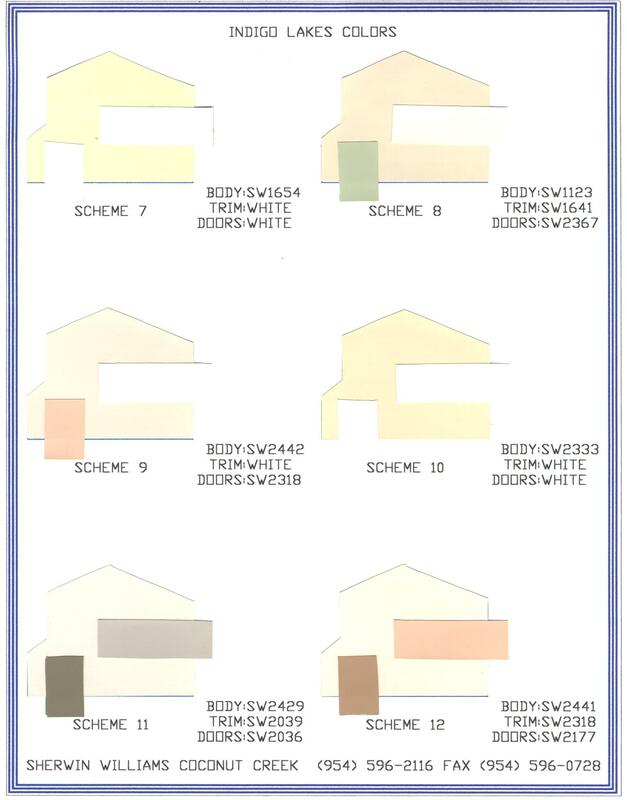 Note: Only original paint color schemes 13 – 17 are allowed to have garage door(s) the body or the trim color. 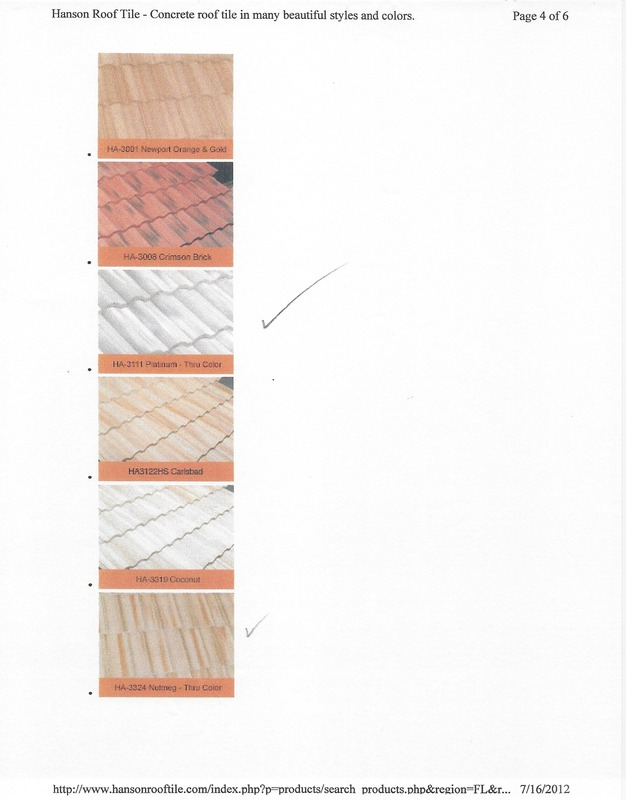 For color reference, use the following links for approved roof colors which have checks on them. We now allow single and double-roll style. The color, style, and manufacturer are needed on the ARC form. A house survey, or drawing from the roofing company, the paperwork for the job and the license information are also to be included with the ARC request. Copyright � 2019 ILCA. All rights reserved.